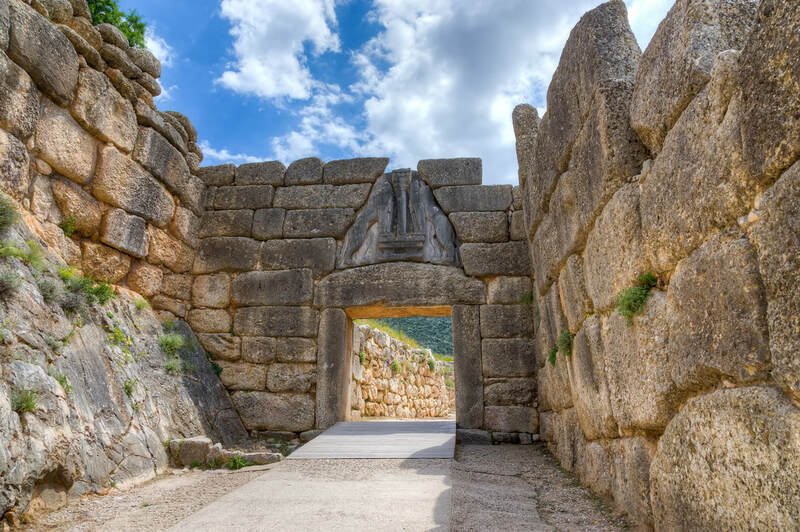 The Lions' Gate, at Mycenae. ​The "golden" city of Mycenae, the city of the legendary kings Menelaos and Agamemnon, of Danaë and Perseus, Pelops and Atreus, the one that was cited by Homer and excavated by Eric Schleeman, is one of the most important and most famous archaeological sites of Greece. The earliest archaeological fragments indicate that the site of Mycenae was inhabited since the 7th millennium BC, from prehistoric times. In a dominant, naturally fortified position between the tranquil sloping hills of Profitis Ilias, and Sara, with a plentiful water supply, it was an ideal place for man to settle and live a protected life. The apogee of the Mycenaeans, with their majestic architecture, inscribed monuments and sophisticated civilization, occurred in the Late Bronze Age, between 1350 and 1200 BC. The first hegemonic factions appeared as early as 1700 BC. Around this same period construction began on the first monumental tombs. After this, expansion developed at a fast speed. 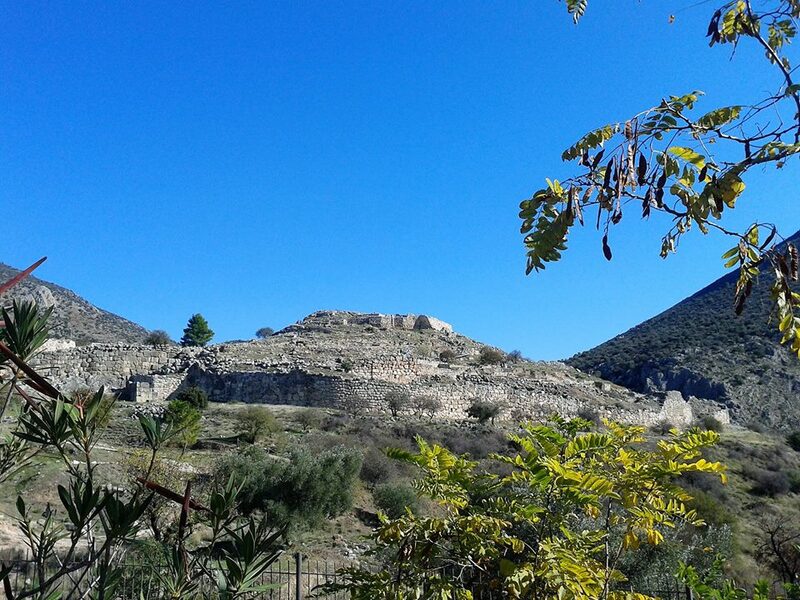 ​​The pre-historic Mycenaean citadel, fortified with Cyclopean walls with two gates (the Lion Gate and the North Gate) is a fascinating place. The first walls were erected around 1350 B.C. but the citadel assumed its final form at around 1200 BC. Inside the enclosure, the more important buildings are the Granary, the garrison's quarters, the two sanctuaries (Grave Circle "a" which contains six royal tombs of the 16th c. BC, and the living quarters of the dignitaries and the priests in the lower citadel )House of the Warrior Vase, the Ramp House, the South House and the Tsounta House). There is also the Mycenaean palace on the crest of the hill, a smaller palace further east, known as the House of the Columns, the House of the Artists, and finally, at the N.E. side, the Secret Cistern. Groups of Mycenaean dwellings have been excavated outside the walls, along with Grave Circle "B", nine "tholos" tombs of the Atridae among which, the treasure of Atreus, aka "The Tomb of Agamemnon", the tomb of Clytemnystra, the tomb of Aegisthos, and others. 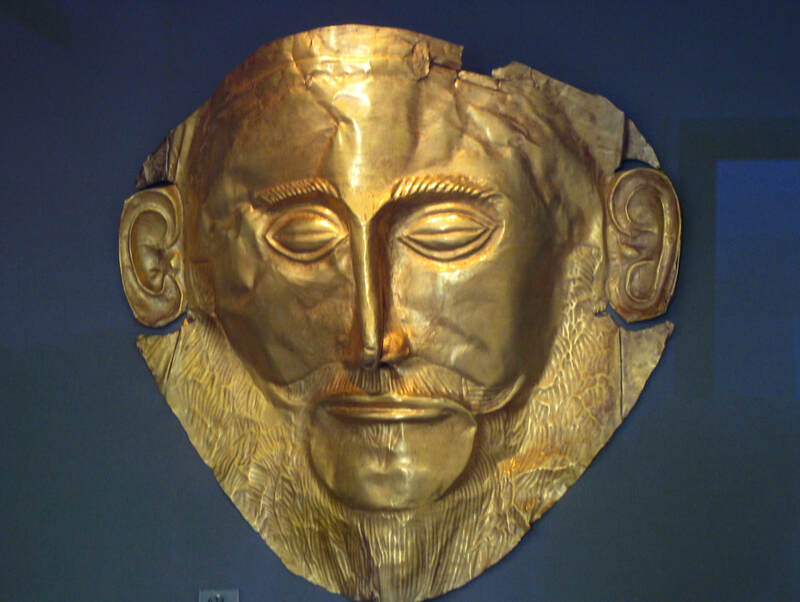 ​The decline of Mycenae occurred around 1100 BC, possibly due to repeated damage from earthquakes and fires. The Dorian migration was the outset of the decay of Mycenae, which was destroyed by the people of Argos in the 5th cent. B.C. and was abandoned in the 10th cent. Mycenae had managed, however, to have once been a truly great empire, which has indelibly stamped its reputation on the history not only of Greece, but the entire world. 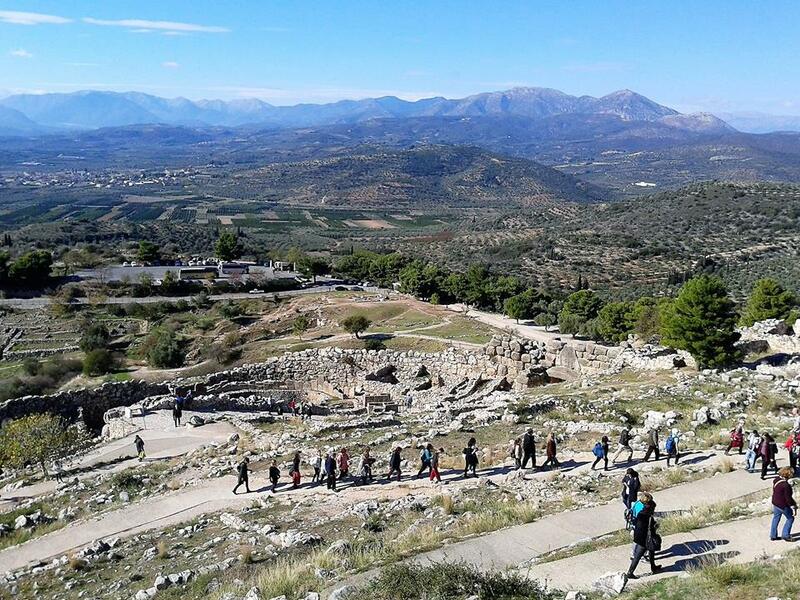 ​The modern village of Mycenae is 2 km away from the archaeological site. It is located 24 km North from the city of Nafplion. 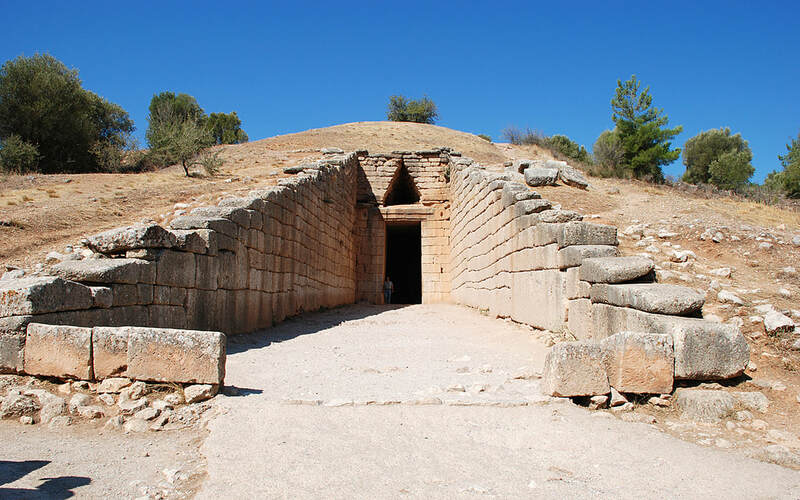 A royal tomb at the site of ancient Mycenae. The impressive, majestic, Lions Gate, at the entrance of the Mycenaean citadel. The six royal tombs, in the 1st tomb ring (16th cent. B.C. ), the grenary, temples and houses, in the citadel. The 2nd tomb ring, with the vaulted tombs (14 royal and 12 private), outside the citadel. The treasure of Atreus or the tomb of Agamemnon (13th cent. B.C. ), a grandiose tomb, near the citadel. The Heraion of Argos, a pan-Hellenic worship centre of the goddess Hera. The church of the Assumption of Virgin Mary, in the village Chonikas (8 km. to the south). From the collection of the Mycenae Museum. 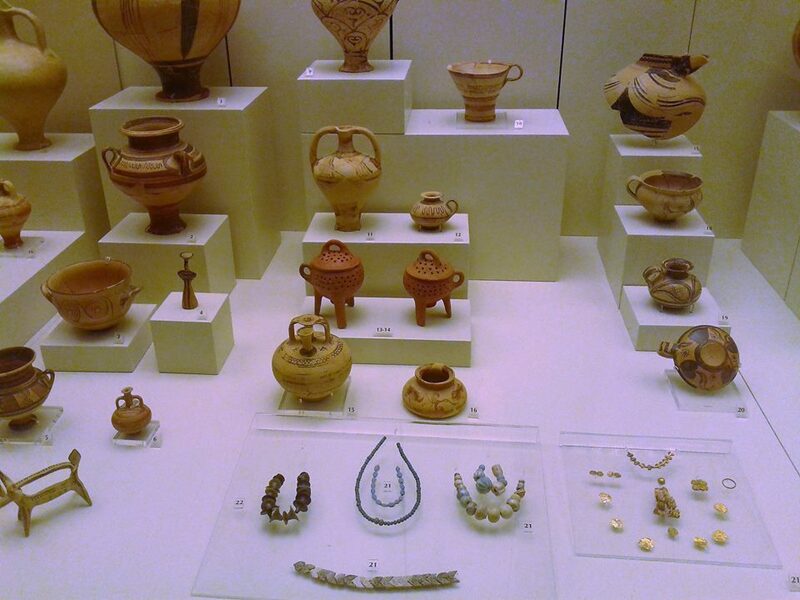 Finds from the area (crowns, wall paintings, the golden mask of “Agamemnon”, etc) are hosted in the Archaeological Museum of Athens. The citadel at Mycenae. Photograph courtesy of Marietta Makri. Mycenae. Photograph courtesy of Marietta Makri.